Big Secret Theatre is the creative working space and home to One Yellow Rabbit Performance Theatre. Centrally located on the mezzanine level of Arts Commons in downtown Calgary, the Big Secret Theatre is in the heart of downtown Calgary, making it an ideal space to plan your event. Step outside our doors and onto the architectural hub of excitement at Olympic Plaza and the world class shopping attraction of Stephen Avenue. 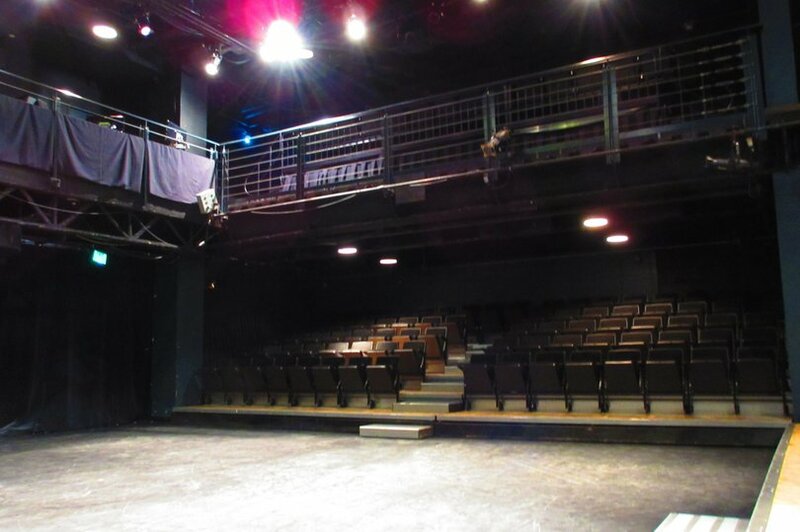 Next to major roadways and steps from the C-train make the Big Secret Theatre accessible for all your needs.